Blue is the most favorite color loved by most people in the world. It is considered the best color to design a bedroom since it could create peaceful, comforting, and relaxing feeling. Moreover, it could be mixed easily with other shades. You may want to know whether blue is suitable for the concept of your bedroom now. Do not worry, because all spectrum of blue could work well with any interior designs. From modern, bohemian, to vintage design. Blue could easily fit with them. You may be interested in applying blue color to your bedroom. But if you still do not have an idea to mix and match the decoration, furnishing, as well as the color, these six blue bedroom ideas would kindly help you. Check them out! 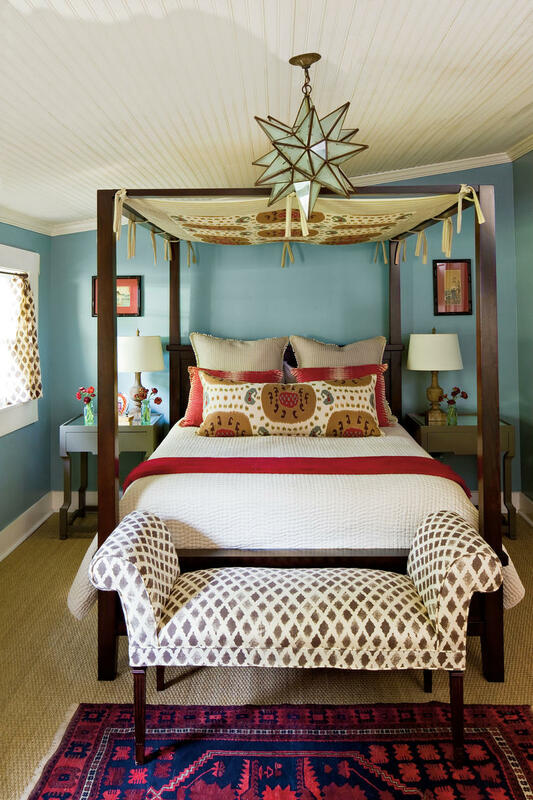 It is surprising to realize that blue could be used as a basic color in bohemian bedroom idea. But as I have said, blue is such a magical color that is so friendly with other shades. Consider soft blue as a background of the bedroom. Put any colors you like to the room as it is the style of bohemian. Wooden furniture from the bed frame, table sides, and floor add rustic and natural atmosphere. Themed bed canopy themed pillow cover, patterned sofa, and patterned rug bring a strong accent of boho design. Any decorations on the table and the wall are welcomed. Let blue play a part in vintage bedroom design. Choose white to complement the softness of blue. Apply it in the patterned wall and rug. 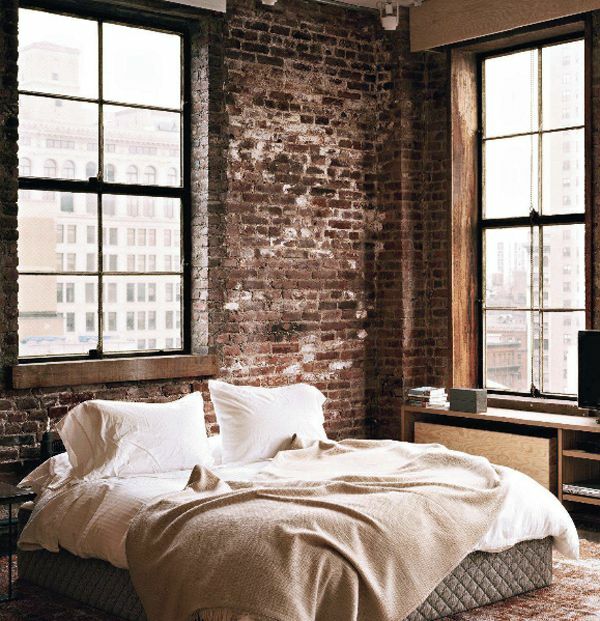 Dress the bed with white bed-linen. Embroider the edges with blue pattern so it could create vintage ambiance. 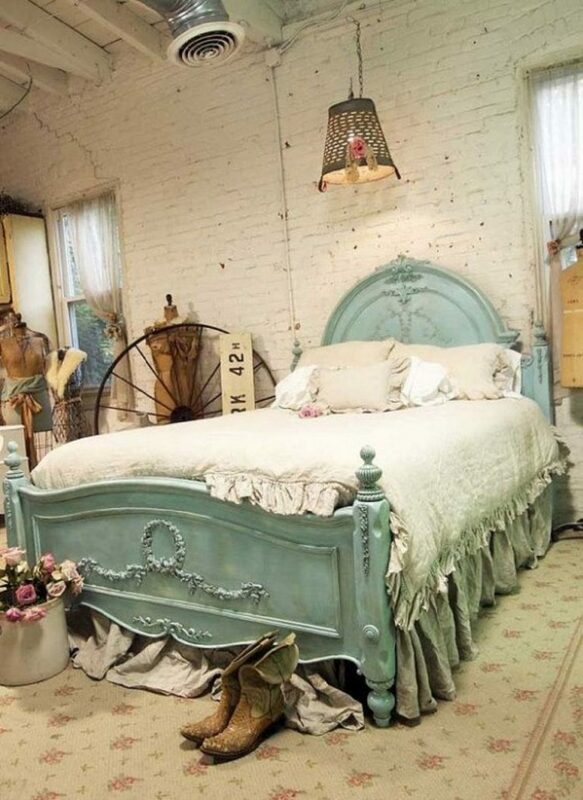 Since it is a vintage bedroom, wooden furniture may not be forgotten. Apply it on the floor and the table side would make them look cool. Another way to make this blue bedroom more vintage is decorating the wall and the table with some photographs. A black and white or sepia photo would be much better. Royal blue is a favorite hue to decorate a bedroom since it is considered not too deep and not too soft. If women love soft blue, men mostly prefer royal blue for their bedroom. White hue would always work well together with any gradient of blue. Put royal blue as a background and use lots of white for the window frame, rolling curtain, ceiling, and bed-linen. To hide the monotonous in the bed, put blue gradient pillows on it. The deep wood floor looks cool with metal bedside and the sofa. Other shades of red, black, and green are nice to give contrast. One more idea to add the coolness to this bedroom is by hanging a framed blue jersey on the wall. After talking about men bedroom, now it is the time to talk about a blue bedroom decoration idea that is loved by women. Shabby chic in the attic, doesn’t it sounds good? 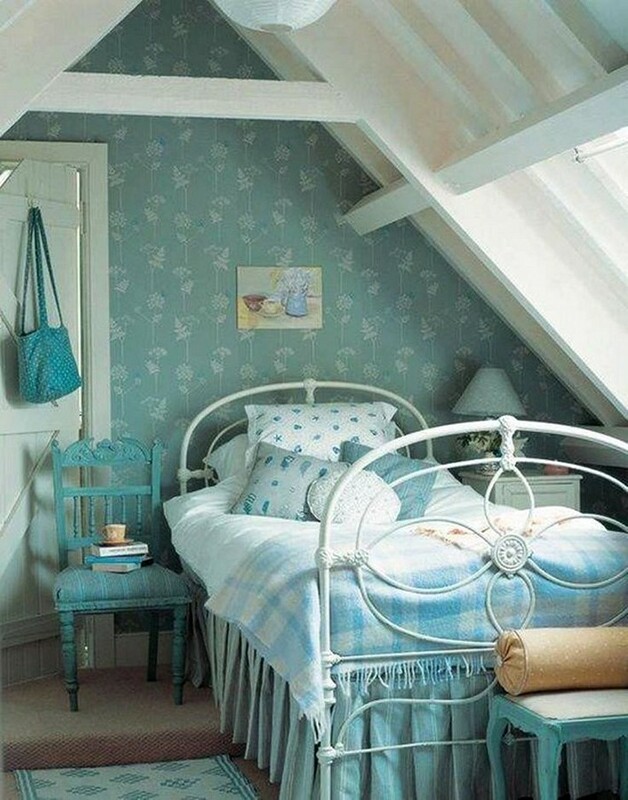 A small room space with lower ceiling seems so perfect to be designed with shabby chic bedroom idea. Duck-egg blue combined with turquoise and white create a peaceful and romantic feel. Floral-patterned wallpaper, the old-style bed frame, and chair are the focal points in transforming the bedroom to the classic look. Themed pillow cover and the patterned blanket with tassel are cool and eye-catching. Introduce soft yellow for the contrast. 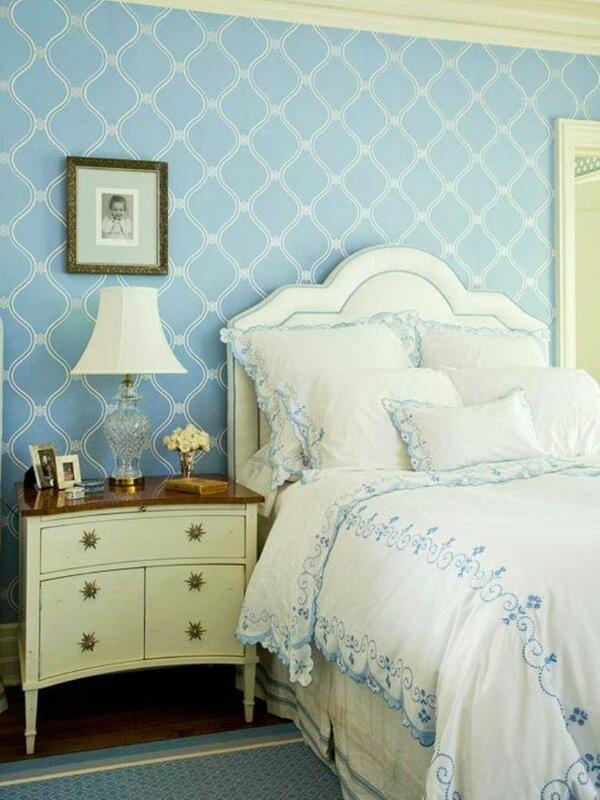 Looking for an idea to make your bedroom look girly with blue? Marry it with pink and white. Since those three colors look good together, do not hesitate to put them on the color background. Paint the one side of the wall with blue and apply pink for another. Consider white for the main furniture like bed and wardrobe. Give blue and pink touch on the white furniture. Bedspread with the fun theme would make the bed looks perfect. Blue and white curtain certainly balance the pink wall. Be careful in choosing the decoration. They should be girly stuff that could support the concept. Flower pattern, cute animals, and pink stuff could be a good example. Want to feel a relaxing beach atmosphere every day? Try this one. 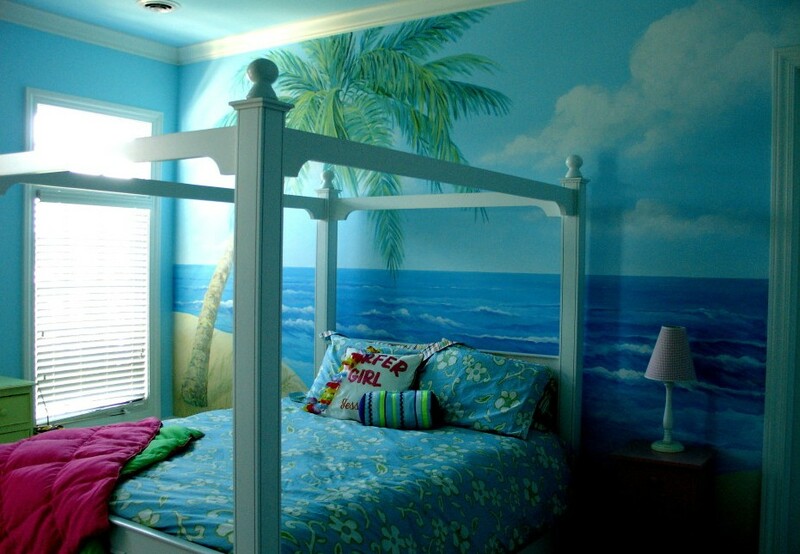 A beach-inspired blue bedroom idea is nothing but perfect for a beach fan. Blue would be the color that could suit best to this design concept. Put a beautiful view of the beach with a bright blue sky and deep blue sea on the wall as the background. Also, draw coconut tree to give it a tropical accent. Dress the bed with floral bed-linen in blue to freshen the room. Allow the sunlight to enter to the room through the open window to feel the natural light. Add pink and green element to hide the monotonous of blue in the bedroom. That blue bedroom ideas show that blue is totally friendly for the entire bedroom concept. So, you could just apply it every time you want with your recent bedroom design. Do not forget that blue has so many gradients so choose one that suits you the best.